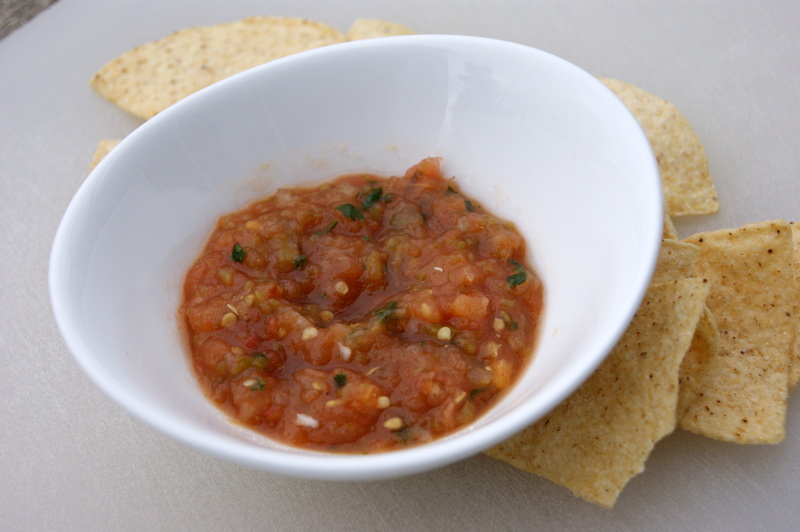 A simple roasted salsa recipe that should be in anyone’s cooking repertoire. 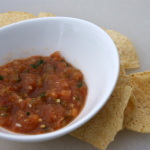 This is a great salsa recipe especially when tomatoes are not in season because roasting them really concentrates their flavor, helping release some of their natural sweetness, that you would otherwise get when during tomato season. 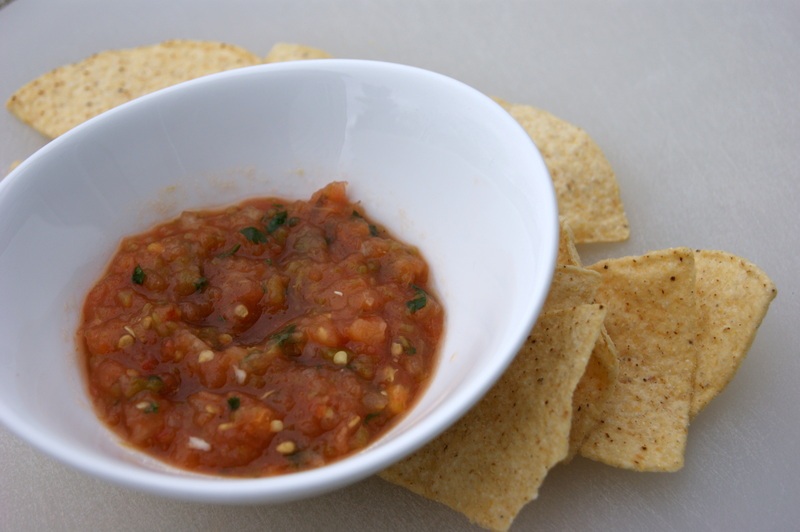 This straightforward salsa pairs best with fresh corn tortilla chips or on simple steak or chicken tacos. A “table” salsa, if you will. Be forewarned, it does pack a little bit of heat, since all of the seeds from the jalapenos are added. If you don’t like spicy, you may want to reduce the amount of jalapenos or check out one of these salsas that are a bit milder: Charred Poblano and Corn Salsa or Roasted Tomatillo-Chipotle Salsa . Otherwise, if you’re experiencing sub-zero temperatures like we are here in Chicago today, fire up that oven and warm up with some spice! Delicious and easy all year round! Serve with chips or on tacos! Trim the rough stem off the end of the tomatoes, discard and cut tomatoes in half. Place tomatoes, whole jalapeños and onion onto a foil lined sheet pan. Drizzle all with vegetable oil and toss to evenly coat. Roast for 15-20 minutes until softened and blackened, turning once or twice. When cool enough to handle, remove skins from tomatoes. Pinch the tops of the jalapeños to remove the stems and then remove the skin. Place tomatoes, jalapenos, onion, garlic, cilantro and vinegar into a blender and pulse 10 – 20 seconds until broken down but not completely puréed. Taste; add salt and pepper as necessary.